Ben Cardwell’s first goal for the Hoops earned them victory in their opening home game of the season on Tuesday night. Cardwell struck five minutes from time after coming on for fellow new signing Harris Rogers midway through the second half and it was only fitting that Cardwell should grab Deal’s winner for he had given the Hollands & Blair defence immediate problems with his powerful running. Those problems increased after the Gillingham side saw substitute Harrison Pont shown a straight red card by referee Joe Dann-Pye for a bad 75th-minute tackle on Cardwell, and 10 minutes later he exacted his revenge after Connor Coyne had headed the ball into his path. With Hoops’ keeper James Tonkin having very little to do at the other end throughout the 90 minutes it was no more than Deal deserved. But a combination of some sloppy work in the final third, plus the crossbar keeping out second-half efforts from Coyne and Dan Adams, meant the Hoops had to wait a long time before finally wrapping up all three points. They had taken the lead with a ninth-minute “Route One” goal when the Blair defence was caught napping by Tonkin’s long goal kick and Connor Miller skilfully brought the ball under control before firing home. 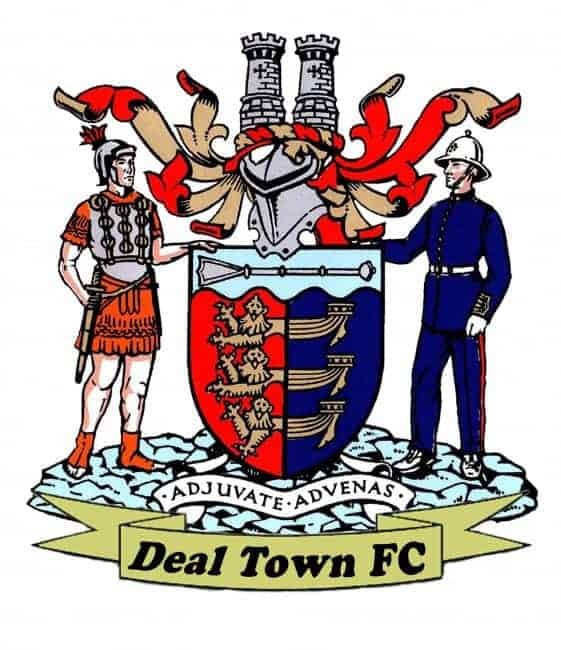 Deal then gradually took command only to be stunned by a classic “out of the blue” equaliser right on half-time from Blair full back Eddie Morant whose superb 25-yard volley gave Tonkin no chance. So the Hoops had to re-group for the second half and they did so successfully. Coyne shook the underside of the bar with his 55th-minute effort while Adams saw his cross-shot also strike the woodwork, but it was Cardwell’s introduction which really put Deal in the driving seat and Derek Hares and Co. will definitely be hoping for more of the same from Ben in the coming months. Finally, before the kick-off, there was a minute’s applause in memory of Steve Lake, one of the Hoops’ most loyal supporters, who sadly passed away a few months ago. Deal: Tonkin, Hark, O’Brien, Bigginton, K Smith, C Miller, Scott, Adams, Coyne, Rogers, Walsh. Subs: Cardwell, Alexander, Howard.